EXCLUSIVE PODCAST: We had a chance to catch up with Imran Khan (Jaane Tu Ya Jaane Na, Break ke Baad, I Hate Luv Stories) and talk about his forthcoming movie Delhi Belly directed by Abhinay Deo and co-starring Vir Das and Kunal Roy Kapoor. This is a real treat and Imran had the chance to speak about the marketing approach, controversies surrounding the release of the movies, on Delhi Belly not being a typical Bollywood movie, the role of censorship in Indian Cinema and what his favorite swearword is! Riveting stuff! Check out the trailer of the movie! 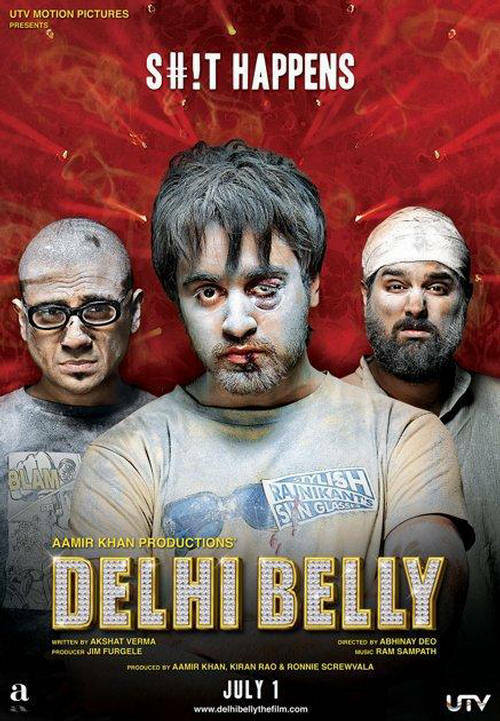 Delhi Belly will be premiering at the London Indian Film festival on the 30th of June and you can find more information on the screenings and programme on their site by clicking here! A big thanks to Ashanti for setting this up for Upodcast. You can follow her on twitter and her blog and many of her writings pretty much everywhere from Cineworld Unlimited Magazine (UK), Anokhi Magazine (Canada/US/UK), Galatta Magazine (India), Desi Hits (Worldwide)! Also a thanks to our good friend FilmiGirl for prepping us and giving some great questions to shoot and who also did a few interviews with Imran’s co-stars in the movie Poorna Jagannathan and Kunal Roy Kapoor. Do leave a comment below and let us know what you thought of the Podcast!